All these qualities make synthetic hemp ideal for use outdoors as handrails, for dog toys, on ships and boats, in construction and in children’s play areas. 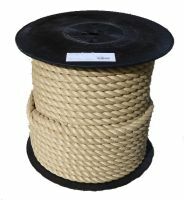 It can be easily formed rope swings, ladders and climbing ropes, encouraging hours of fun outside. The surface is soft to touch but easy to grip. The rope is weatherproof so can be left out all year round. 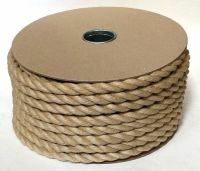 Synthetic hemp rope may sometimes be known as Hardy Hemp, Polyhemp and Hempex. 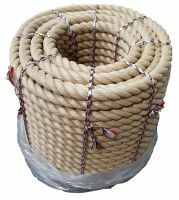 All ropes from Ropes Direct offer you to chance to save money over ordering from traditional chandleries. Click on the products below to choose the size and length you require.